Congrats for your blog, very nice! Why don't you create a pet profile on www.pet-files.com ? You can publish photos, videos and a lot of info (my profile: http://www.pet-files.com/marco80/mescal). And you can create a slideshow with your photo that you can easily embed into this blog! Hope you appreciate the idea. 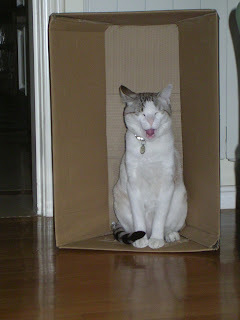 Is this cat making fun of me,by showing her tongue. ?